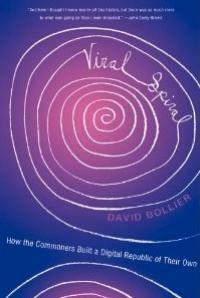 For many people, the commons exists as some sort of Platonic ideal -- a fixed, universal archetype. That’s silly, of course, because commons are so embedded in a given place and moment of history and culture, and therefore highly variable. Derek Wall takes this as a point of departure in his new book, The Commons in History: Culture, Conflict and Ecology (MIT Press). At 136 pages of text, it is a short and highly readable book, but one that conveys much of the texture of commons and enclosures as paradigms -- and the implications for ecosystems. Wall is an economist at Goldsmith College, University of London, so he knows a few things about the biases of conventional economics. He is also a member of the Green party of England and Wales, and therefore knows a few things about corporate power and oppositional politics. That’s partly because a commons is not a unitary model, but only a template with highly variable outcomes. People may have common rights to use “usufruct rights” on privately owned land, for example, authorizing them to gather fallen wood. This can be considered a type of commons, albeit not one as self-sovereign and robust as those with communally owned and controlled land. Commons may also coexist with hierarchical power relationships – a reality that also militates against a radical equality. For newcomers to the commons wishing to acquaint themselves with Elinor Ostrom’s work, it can be a hard slog. Her scholarly treatises, while often quite insightful, can be quite dense in delivering their hard research results and refined insights. It is a real pleasure, therefore, to greet Sustaining the Commons, a new undergraduate textbook that has just been published. 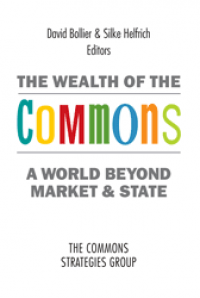 The book provides a general overview of the intellectual framework, concepts and applications of Ostrom’s research on the commons. Best of all, in a refreshing departure from most academic publishing, the authors of the 168-page book decided to make it available for free as a downloadable pdf file. 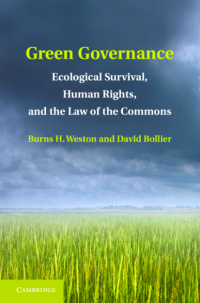 Just go to the book’s website and blog, http://sustainingthecommons.asu.edu. 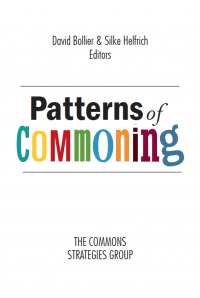 Sustaining the Commons is by John M. Anderies and Marco A. Janssen, both associate professors at Arizona State University and directors of the Center for the Study of Institutional Diversity, which is the publisher of the textbook. Both authors worked with Ostrom from 2000 until her death in 2012. Although Ostrom’s name is mostly associated with Indiana University, where she co-founded and ran the Workshop on Political Theory and Policy Analysis, Ostrom was also a part-time research professor at ASU from 2006-2012. 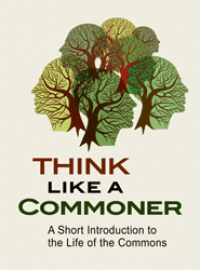 Anderies and Janssen taught a course at ASU on Ostrom’s work, with a special focus on her books Governing the Commons (1990) and Understanding Institutional Diversity (2005). Out of that teaching arose the idea for this book. Ostrom herself saw and approved of the first draft of the book in April 2012, shortly before her death. There are a number of chapters on human behavior as it is studied by social science. How do people make decisions about collective matters and how do they develop trust? How are these behaviors studied in the laboratory? 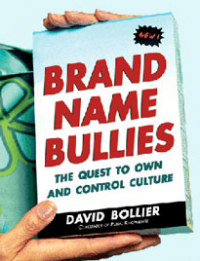 What sorts of rules and social norms matter?